If you are a man suffering from what feels like ‘prostatitis’, this blog and our upcoming informational event is for you. 10% of men experience prostatitis-like symptoms at some point in their lives. 97% of these men do not have a prostate or bladder infection yet are still treated with antibiotics. The majority of these men have pelvic floor dysfunction and can benefit from pelvic floor physical therapy. Since the early 2000’s research has consistently shown the prostate itself is not the problem nor is the prostate infected. Unfortunately here in 2018 there is continued misuse of the prostatitis diagnosis and subsequent medical mismanagement of suffering men. Medical professionals specializing in urologic male pelvic pain, otherwise known as Chronic Pelvic Pain Syndrome (CPPS) want to change that. Jason Kutch, PhD organized a free event for men with CPPS at USC in Los Angeles on Wednesday, May 9, 2018 from 6:00 – 8:00pm. If you do not live in Los Angeles do not worry, the medical panel will be filmed and distributed. Category II: Chronic bacterial prostatitis (CBP) which is caused by chronic bacterial infection of the prostate with or without prostatitis symptoms and usually with recurrent UTIs caused by the same bacterial strain. Category III: Chronic prostatitis/chronic pelvic pain syndrome which is characterized by chronic pelvic pain symptoms and possibly voiding symptoms in the absence of UTI. Category IV: Asymptomatic inflammatory prostatitis (AIP) which is characterized by prostate inflammation in the absence of genitourinary tract symptoms. 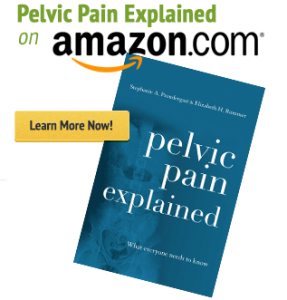 For the sake of this post we call the syndrome Chronic Pelvic Pain Syndrome (CPPS). If it’s not a prostate infection, what is it? CPPS is considered a heterogeneous syndrome, meaning it can have multiple and sometimes overlapping causes. CPPS is not a disease and therefore the underlying causes will vary from individual to individual. 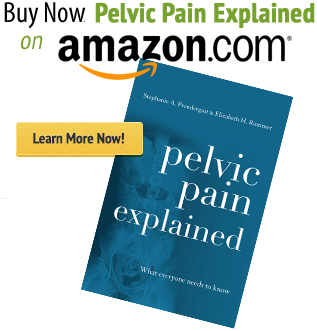 However, new studies are pointing to pelvic floor muscles as a major contributor to CPPS symptoms. Because of the variability in each individual’s case diagnosis and treatment needs to be individualized. On May 9th, 4 expert medical professionals will explain the latest advances in diagnosing and treating CPPS. The panel has been organized by researcher and neuroscientist Dr. Jason Kutch, and is interdisciplinary to reflect the different areas of involvement of CPPS. Dr. Kutch will discuss research efforts by the National Institutes of Health (NIH) to create a new understanding of CPPS that will improve treatment. Urologist Dr. Joshua Gonzalez will talk about the proper medical evaluation and treatment for men with CPPS. Pelvic floor physical therapists Daniel Kirages and Stephanie Prendergast will discuss the role the pelvic floor muscles and musculoskeletal system play in in CPPS. Finally, the panel will discuss effective treatment options and where men across America can find appropriate providers to help them. This event is open to patients, their families, and medical providers interested in the topic. Parking available. Please RSVP to Jason Kutch (kutch@usc.edu) by Wednesday May 2, 2018. Thank-you and we hope to see you there! Very interested to share with my patients after it is filmed and available since we are out in Seattle and cannot make to the actual event. How can we /they access the Class after recording? thanks and Bravo for doing and putting out there! The video is on PHRC’s Facebook page. It said this will be filmed…. is this available on the web? Yes! It is on PHRC’s Facebook page.